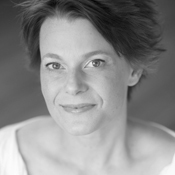 Kristen is co-founder and artistic director of WAM Theatre, a theatre company based in the Berkshires of Massachusetts and the Capital Region of New York State. WAM, inspired by the book “Half the Sky: Turning Oppression into Opportunity for Women Worldwide” by Nicholas Kristof and Sheryl WuDunn, uses a unique double philanthropic model to use theatre to benefit women and girls. She is a member of Canadian Actor’s Equity Association and an associate member of the Society of Stage Director’s and Choreographers. Kristen has taught at Emerson College and Queen’s University and is a freelance theatre artist for ISTA, the International Schools Theatre Association.